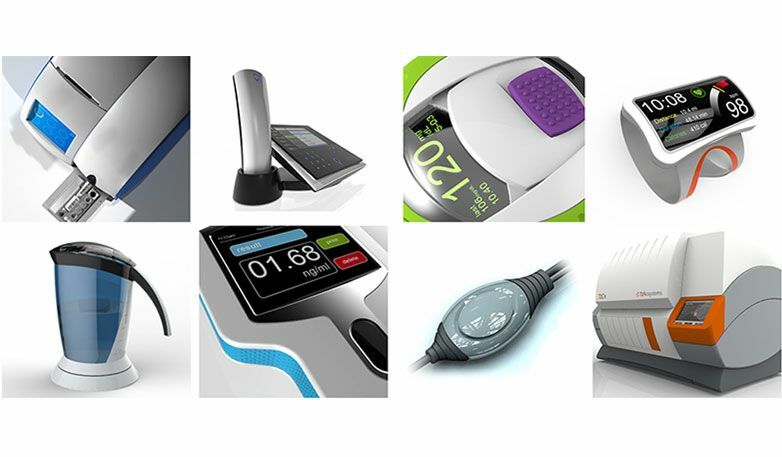 Optimal design of a product is critical in today’s competitive marketplace. Industrial design addresses ergonomics, usability, and manufacturability and takes into account important factors such as cost, efficiency of production and energy efficiency. Good design can add value to a product and differentiate it from its competitors. Industrial design is a core and integrated part of Sagentia’s approach to product development. Combining our industrial design and human factors expertise, we help you to understand how people interact with your product and then use those insights to inform the actual product deliverables. Taking a user-centred approach, we generate concepts based on the insights gained and needs identified in the early stages of a development. We then make those ideas tangible by sketching and prototyping, using techniques from simple foam models, to sophisticated 3D CAD models and visualizations, which are then tested with users. Our internal capability is complemented by services from Creactive Design ID, an award-winning, independent product design consultancy. Creactive has been at the forefront of the Cambridge (UK) design scene for more than 25 years and has an extensive range of clients, from start-ups to multi-national corporations, across a broad range of market sectors including consumer, laboratory, medical, telecoms and industrial. The co-location of Creactive and Sagentia allows a close working collaboration covering the complete R & D process. This cooperation ensures that your goals and expectations are met through a cohesive strategy that seamlessly blends the research, usability, design, scientific and engineering disciplines. The combination of Creactive's user-focused design passion with Sagentia's grounding in science & technology means we deliver desirable products that provide real benefits to the user and, crucially, are also technically and commercially feasible. To find out more about Creactive Design ID visit their website here.